Music Production Machine – Make Beats at Home! New producers-to-be may be constantly scanning the web for a music production machine suitable to their beat creating needs. With the advent of high technology over the past few years, music recording equipment has become increasingly advanced, as well as increasingly easier to use. This makes things much more stress-free for the layman with no production experience, who just wants to make beats but has no idea where to start. All you need is a music production machine, or interface, that you can wrap your mind around and get used to rather quickly. If you are a creative person interested in producing hip hop instrumentals, chances are you get ideas for catchy songs in your head all the time. Now, the only problem here is translating what is in your head to the interface itself. One difficult hurdle that you are going to have to get past is learning an instrument. If your aim is producing hip hop, focus on learning the keyboard. You may have a sweet synth part playing in your head, but if you can’t translate it on the keyboard, you have nothing! Nothing makes an interface harder to navigate than not knowing the terminology. For example, you may think you have no use for quantization if you have no idea what that word means. However, quantizing your beats gives them proper timing, and keeps them programmed correctly with the song’s beats per minute. It is one of the most important elements to add to your beats! With these concepts in mind, producing your own beats should now seem like a much smaller hurdle! With the right interface and the proper understanding, you should be well on your way! Still in the dark about what interface might be right for you? If you are using a Windows-based computer, why not try Fruity Loops or Pro Tools? If you are a Mac user, GarageBand or Logic Studio may suit you perfectly. 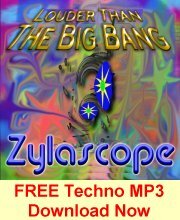 Listen to free previews of Zylascope’s Electronic Music in our music store. 1. Storyboard that bad boy, a music video, like a drama, should be planned, even scripted, before you shoot. Flying by the seat of your pants isn’t going to get you where you want to go. Do a little homework. Study music videos and performances featuring music of the same genre and note techniques that impress you. Try to figure out how and why the directors took the shots and made the cuts they did. You don’t have to duplicate what you see, but it won’t hurt to borrow some ideas from the pros. 2. Instruct the singer to sing properly – no half-hearted singing or, worse, miming. If they mumble or mime, it won’t look right when you lay the shots against the song, as the tension and movements of the face and body will not be consistent with the sound of the song. They must sing as if you were making a real recording. 3. Shoot plenty of angles, and make sure that most angles cover the entire song. If you do not shoot enough angles of the whole song, the final feel of your music video might be too slow. 4. One simple and good tip is having GREAT locations, obviously this can be dictated by budget, but sometimes a skyline view or a disused warehouse can give your music video production that big budget feel. 5. A very underrated tip is feeding your crew good food! This can be an easy and achievable way of really picking up everyone’s spirits halfway through a long shoot and getting the best out of them. Those are my top tips on music video production; I hope they help you as much as they have me. There are many people around the world who are constantly trying to get their hands on new and exciting mixes, where electronic music is concerned, and this means that they need to find new ways of purchasing their favorite tracks, since land based stores often provide a rather limited number of new albums. If you do not want to have to wait for all of the latest mixes to arrive at your local music store, you can get your hands on them when you visit online retailers that offer some of the widest selection of electronic music in the industry. Purchasing online when compared to shopping at a local retailer is much simpler and it gives you the opportunity to pick and choose the specific tracks that you want. A wide selection is imperative when you are picking an online store that sells electronic music, so make sure that you keep this in mind. Scan through a few sites before determining which one will suit your needs best and make sure that you focus your attentions on the genre that interests you most. If you enjoy electronic mixes, it will not help to pick a music store that sells a wide range of RnB music, so keep this in mind when you are making your decision. One of the biggest benefits of purchasing electronic music online is the fact that you can download it directly to your computer, which means that you will get your hands on it immediately. Waiting for a CD to get shipped to your home can be very annoying, and you will not have to worry about this any longer; you simply need to purchase the tracks that you like most, pay for them, and you can start downloading them directly to your computer; nothing could be simpler than this. If you do not want to download an entire CD, you can pick and choose the tracks that you want, which makes it easy to get your hands on the music that you enjoy without paying for songs that you do not like. Go through the selection of music on the site and listen to the tracks that you do not know; once you have done this you can determine which ones you are willing to pay for and which ones you would rather leave out. Those that are interested in electronic music won’t find an easier way to get their hands on it, as all it takes is a computer and an internet connection. To learn more about electronic music, please visit us on our website. Quite honestly, when I first received this product to review I was a bit skeptical because I had never heard of it and my extensive background as a musician seems to get in the way of what I always desire in applications involving music. But, I was pleasantly surprised, this application seemed to really have it all. I was never left with the common feeling of ‘I wish it could do that’ that I get with so many music applications. In this article I plan on discussing the main points and features of DUBturbo that will allow the average and the musically inclined to make beat sequences and patterns easily. There are 3 Main components to DUBturbo which separate it from the rest of the other recording and beat sequencing softwares out there, and of course several little things that do as well, but I’ll discuss these 3 big things first. The first main component of DUBturbo is the sequencer. The sequencer is the all familar ProTools/GarageBand style screen which shows you the tracks and when they are playing or not playing. It’s not too special, but what does set this apart is that it’s got 16 tracks. A drum sequencer with 16 tracks is pretty uncommon because most have far fewer! It’s not the unlimited that ProTools will give you, but will ProTools run on your netbook? I don’t think so; DUBturbo will. DUBturbo lays out all the tracks easily in the sequencer view, I tend to think of this as my home screen. The next main component of DUBturbo is the drum machine. It’s obvious that this was very well thought out. Unlike GarageBand where you are forced into drum sequences, DUBturbo lets you create anyone you like, or modify one that already exists. It’s limited to just 10 pads per track, but this allows you to ‘type’ in the rhythm by using your computer keyboard as the drum pad. It converts your number pad into a drum set and you get to define each sound. There couldn’t be a more customized way of doing this either. You can choose either predefined drum ‘sets’ or make your own. To enter rhythms, you can either use your mouse and click on which part of the beat you want sound to happen or type it in on your drum pad/keyboard. This thing is awesome. The other main component to DUBturbo is the 4 Octave Keyboard feature. This is THE thing that sets DUBturbo apart from the competition. You can insert melodic ideas, harmonic ideas, bass lines, anything with this. Beats without bass are boring, repetitive and seriously lame. But add a bass line, or some sort of harmonic or melodic interest and all of a sudden those repetitive beats seem to have some sort of flow and provide interest to your listeners. DUBturbo also makes it easy as pie to use the keyboard feature. By using your computer keyboard, you can put the notes in just like you were at a piano. It’s so easy and simple to do, I wish that Sibelius or Finale notation software were this easy! DUBturbo allows you to use up to 4 Octaves which is a big range. To some that may seem limited, but if you separate your tracks it’s difficult to feel limited. There are soooo many sounds you can play with. If you’ve ever used GarageBand, there are a lot of different sounds and sequences you can use, but navigating them takes practice to learn and it’s not that easy, with DUBturbo, all the sounds are easy to navigate. They pop up in the middle of the screen, not just at the bottom like in GarageBand. You can do more with the sounds, you can even change the keys the sounds are in. In GarageBand you are stuck to whatever key the sample is in, which may not be the key of your beat. DUBturbo makes changing keys easy. DUBturbo lets you upload your beats and sell them to other DUBturbo users. That’s right, writing music is easy on DUBturbo and getting paid for those beats is just as easy! DUBturbo outputs studio quality sounds so you don’t have to worry about loss of quality when you burn to CD. Using DUBturbo is easy, even for the non-musical user. It includes a video tutorial series to walk you through, step by step, on how to make simple beats all the way through advanced user features. So learning the program couldn’t be easier! These videos are even great for users familiar with similar style applications because it tells you shortcuts and secrets to make using the program easier. Honestly, I haven’t seen an beat sequencing application as thoroughly put together as DUBturbo. It really does have it all and it makes putting together beats from any genre easy and fun. This really is the cream of the crop application. Chris Stuberg is a classically trained cellist. He earned his Bachelors of Music degree in Cello Performance and is currently working on a Masters of Music in Cello performance. I have composed contemporary classical music. What? You have also composed beautiful contemporary classical music? No, not rock or pop or country music. Contemporary, classical music. And it sits on your computer or on scrawny hand-written music pages neatly tucked in your drawer. Maybe it has been performed. Maybe you have recorded it. You may think that this is the end of the story. Music is only to be heard in a concert hall or private functions, never to be repeated or listened to again. Well, think again. Have you thought of putting it on the web for others to hear? What? Contemporary classical music out on the web? Who in the world is looking for classical music using the web? Aren’t all such classical music-lovers diehard technophobes, usually older folk, maybe in big cities and only in western countries? Hold on there! Such stereotypes are simply unfair. How do you know, and why, oh why, take anything for granted? Go ahead. Try it out. 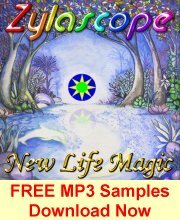 See if a new breed of music lovers can be honed to your wonderful creations. Now you can introduce your music to the world –yes, your classical music! It is not the pariah that you think it is. There can actually be a real audience and following for the exact sound that you have produced, the sound and musical message that certain segments of society are actually searching for. So why not try the digital route? What do you have to lose? Okay, so you have thought about it. You decide to take up my challenge. After all, you have by now Googled my name – Shaunie Shammass – and have actually have seen the diversity of sites where my classical music can be seen and heard. And now you want to know how to actually put up your own music on the web, right? Well, it is actually easier than you think. The magic words are “digital distribution”. And the steps to take are really rather easy. Ready? First, you need to have a recording of your work. Don’t have one? Get some friends together to play it, but you must make a professional or near-professional recording of the performance. Second, take it to a professional for digital mastering, unless you know how to do it yourself. The end-result is just so much better. Third, find a website that does digital distribution. You can search for the words “digital distribution” and several sites pop up immediately. Make sure that the site you choose reformats your audio files and that it distributes to major music sites such as iTunes, Rhapsody, Amazon, etc. Finally, follow the instructions on your chosen site. Check the previews of your music that they provide carefully before approving your tracks for final distribution. Voila! Your music is now online for everyone to take note of. So, go ahead Google your name. And feel the pleasure that I have of digitally distributing your classical music online for all to hear! My first musical performance was at age 3 – in front of an old age group at the community center, where I dutifully played a Yiddish tune that I was able to pick out with one finger on the piano. They loved it – I hated it. The old folks surrounded me after the concert, showering me with slobbered kisses and pinching my poor little cheeks. I have had stage fright ever since. I nevertheless studied piano, going through the yearly exams of the Toronto Conservatory of Music for 10 years. And then I dropped music for other passions – linguistics, phonetics, the sounds and languages of people. Fast forward. I meet my future husband, born in Shiraz Iran. He sings me Persian songs, and woos me with a stack full of Persian-style music that he has collected over the years on grainy cassettes. I fall in love with him, and this music. Fast forward again. I’m now married, 2 kids, and teaching at a university. I look into taking university courses that lecturers can audit, and come across a composition class, but I am told that not everyone is accepted – I have to have something to show the professor. I have written a piano piece, classical but based on Persian songs, and show it to him. He allows me into the class. Andre Hajdu. A remarkable teacher, opening the door to a remarkable journey that I am still taking. Encouraging the nascent musicality that has lain dormant for so many years, and unleashing my creativity as only a true teacher can. I am still trying to find my musical voice, entwining east and west, in the language of classical music. Only time will tell if I succeed. Music has accompanied people throughout their lives for different reasons that melodic tunes take on a therapeutic effect in alleviating stress-related concerns or even for just letting loose. As people have their own artistic preference in music and lyrical composition, coming up with your own piece of music can be good psychological and emotional exercise for almost anyone. Stories and points of view come from experiences, and your own learning is one way to pick up a great topic. Also, keeping in touch with your favorite artists can help you on a style you wish to follow. Building your own music can bring a sense of fulfillment for you get to document a point in your life or idea onto a music sheet you can share with your friends and family. 1. Point in your life: Experiences are one of the most common topics. Choosing a period where emotions were high can be very poetic when put into writing. Just remember to use metaphors; these phrases make crude thoughts less offensive and also hide your identity. 2. Certain person/inspiration: To write about a person you admire or had a good influence on you is another approach. If the idea comes straight from admiration, building the tune and words will somehow jive for positivity usually strikes a happy note in your emotions. Also, to build a song out of admiration can get you to influence others, which is very rewarding for you as a songwriter. 3. Political view: Letting out your oppositional thoughts over a certain topic or person in a community can be better expressed through music. With a more rhythmical approach, you’re your strong points will not come out offensive. Also through lyric writing, the creative flow can pacify your ill-mannered thoughts and somehow change your perception. Plain melody: There are times when words are not needed to express your thoughts, and pure musical content can be very personal without people really noticing the intensity of the composition. This approach can be a good way for you to reveal your sentiments over something. With technology now, composing is much easier with computer-generated instruments; and setting up a mini gathering of your family and friends would be a good way for you to share a part of you; and to set the mood, having poster prints of your theme would add in entertaining your guests. Taking care of yourself means clearing your thoughts of negativity, and getting into a new hobby such as composing your own tunes and lyrics is a fun and effective solution. You can also try to be more adventurous that putting up a mini show can be enlightening; and dressing up your venue with poster prints adds a nice touch. Lastly, your prints, if produced through online poster printing services, can help you in the design aspect of your concept or theme. Astral Projection is a process by which our consciousness temporarily leaves the physical body and functions independently. People who say they experience Astral Projection often say that their spirit or astral body has left their physical body and moves in another dimension known as the spirit word or the astral plane. Don’t be trapped in three dimension perception. Remember that we are all having multidimensional experiences and that there no linear time. The box is our reality, a virtual experience in linear time and emotion. Creation takes place outside of the box. When you think outside the box, your consciousness moves belong linear thinking. We experience in higher frequency of light and see belong the limitations of physical consciousness. Everyone can have this experience, it is not a special gift that only a few people have been blessed with. Some people can Astral Project naturally, for others it would take some amount of time to practice before they can enter the state of full relaxation. For those who don’t have the luxury of time, modern sound technology has provided us with a rather shortcut. Most people fail because they can not tune their brain waves into the right frequency. The scientific community has been aware that certain frequencies are associated with certain states of mind. And they know how to artificially create these brainwave states. The sound technology known as Binaural Beats is very effective in getting people into Astral Projection Trance suitable for successful Astral Projection. This technology works by altering sound between both ears and using a variety of frequencies. It was concluded that a specific combination of frequencies consistently caused a shift in consciousness. Safe and effective binaural-beat process offers a wide variety of applications which include, but are not limited to: relaxation, meditation, enhanced creativity, intuition development, enriched learning, improved sleep, and the exploration of expanded mind-consciousness states. With the entire world of knowledge just a few mouse-clicks away http://www.squidoo.com/astral-projection-with-binaural-beats, it has never been easier than it is right now to learn something new and unexpected every day. What about composing music with software? Is it amazing??? 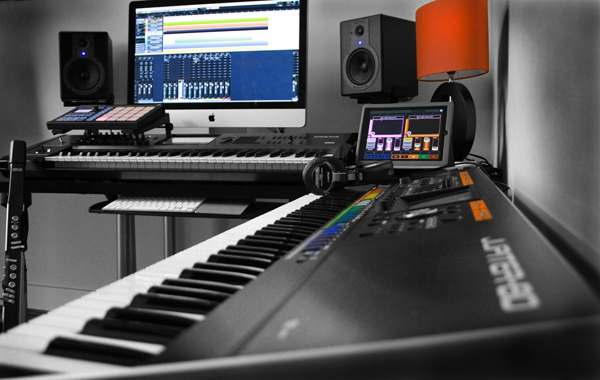 The technology has made it possible to compose music with the help of software. You don’t need any expertise in music to operate this software.It is possible to compose a song at a less budget using this software. This Software can be used to compose classical, pop or hiphop music. The cost of this software may be little high but you can compose music without having any higher education in music. There are many music composition software available. You choose the best quality software for better result. With a bit of talent and constant hard work you can compose your own music. There are certain free version of these software available and you can trial use them before purchasing the original one. Music composers, Sound engineers and Digital musicians are mainly using this software. You only need to have computer operating skills to work with this software. This software is not demanding any skill in music or in musical instruments. Just use your creativity and imagination to compose your own music. Basic time unit of music is beat. The beat consists of the sound of instruments. By combining sound loops in a particular sequence beat is created. The created loops should be integrated in the correct manner to create music. There are inbuilt loops available with the software comprising the sound group based on the instrument. A composer should choose the loops that will blend together and compose it with rhythm in the appropriate time gaps. The software will have a studio control similar interface which will enable the composer to adjust the time, pitch and rhythm. 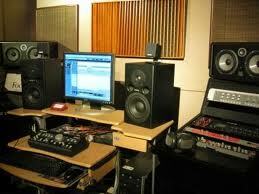 You need to use different software for creating a melodious music and a different one for a hip hop or pop music.